Adam’s parents are splitting up – which hits him like a bolt from the blue and drives him to an extreme act. In the end, he learns that his parents have kept a secret from him the whole time. 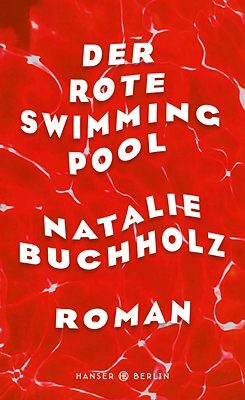 This suspenseful coming-of-age story marks Natalie Buchholz‘s debut as a novelist. But then Adam’s own seemingly cosy, intact world collapses. His parents separate. His father needs distance, from his son as well. Adam is completely overwhelmed. He develops an increasingly irrational anger towards his father and his new family. While the family settles into “his” parental home, Adam’s mother moves to Paris. Adam himself finds shelter in a shared flat with an incompatible flatmate. In a second narrative strand, Buchholz tells the story of Adam’s first love, in which his philosophising friend Tom, of all people, interferes as a rival. Adam undergoes the typical mistakes and confusions of youthful infatuation. What’s worse is that his anger at his father drives him to an irrational act. He commits arson, but luckily only two puppies are injured. The author tells her story by alternating chapters between two time planes. On the one hand, she takes a retrospective approach, showing how things developed to the point of escalation. On the other hand, she transports her readers into the present: soon after the escalation, Adam falls in love and begins to come to terms with his new life circumstances. In this way, each chapter ends with a cliff-hanger that keeps the reader in suspense. Natalie Buchholz has written a book that may be of interest primarily to younger readers, but older people (or perhaps even better: parents) might also gain a bit more understanding for young people – or their own offspring – through this book. This is why Carsten Otte of the taz describes this novel as “literature for all ages”. Claudia Ingenhoven of kulturradio “would like to give the book to a large family that is going on holiday together”.